Hydraulic systems include various non-linearities in static and dynamic characteristics of their components. Consequently, a variety of nonlinear phenomena occur in the systems. 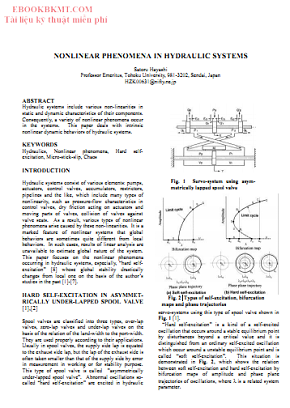 This paper deals with intrinsic nonlinear dynamic behaviors of hydraulic systems.